So what is a HUD Home? I’m sure in your home search you’ve either heard or read the term “HUD Home.” Are you a bit new to this real estate stuff and aren’t 100% sure what this “HUD”means? We’ve had some first time home buyers scratching their heads and finally coming forward with the question. So…what is a HUD Home? 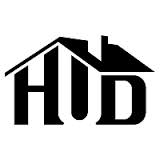 HUD stands for Housing of Urban Development. To put it simply, HUD homes are bank owned, foreclosed properties. A foreclosure happens when a lender exercises its lien against a borrower’s home in order to sell the house to pay off the mortgage loan. This happens only after the borrower has failed to make mortgage payments over an extended period of time, ignoring notices of overdue payments, and hasn’t bothered to get in contact with the lender to work out a payment plan. You can find these types of homes listed with Fannie Mae, Fredie Mac, VA owned, or individually bank owned by Chase, Wells Fargo, etc, depending on your area. HUD homes must have a clean and marketable title to be sold on the market. HUD homes are classified by who owns them. Putting in offers can be different from each – the first 30 days the home is on the market are owner occupant offers only, giving the original owners the chance to catch up on their delinquint payments. Counter offers can differ company to company as well. For example physical signatures could be needed instead of the ease many have gained with electronic signing. However, after an offer is accepted it is the same process as a normal sale. These homes are priced below market value, so some are considered to be incredible buys with great equity. Keep in mind that HUD homes are sold “AS IS.” Some of these homes may need a bit more tlc than others, though if you’re in the market for fixer-uppers you can make all your own this isn’t a bad idea.